Cell phone inspector software is a forensic tool that display all your mobile phone and sim related data including mobile manufacturer name, sim IMSI number, model number, IMEI number, signal quality, battery status and your Symbian OS-based Nokia mobile phones and other supported mobile phones. 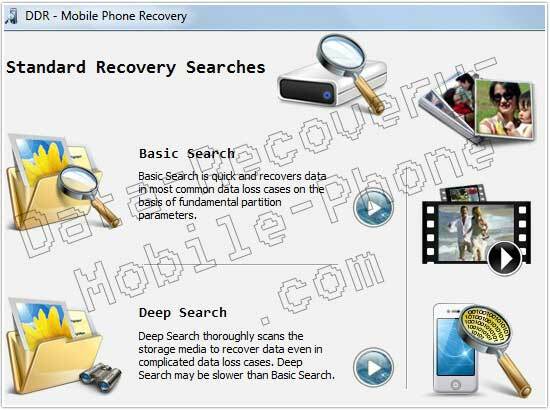 Mobile phone investigation utility is an inspection tool that provides detailed information including text messages, phonebook numbers, SMS, memory status, phone book memory status and other related information of your mobile phone sim card. Cell phone inspection utility helps user to detect all relevant information about cell phone. Mobile phone investigation tool gathers all useful information about your mobile phone using excellent user-friendly GUI interface. Mobile phone analysis software available with Microsoft VC++ source code which is helpful for those specific developers and users whose area of development related to mobile based technologies such as AT+CPBR, AT+CPBS, AT+CBS, AT+CSQ, AT+CIMI, AT+CGSN, AT+CGMM, AT+CGMI and many more mobile based technologies. Mobile inspector application helps you to collect important information about your cell phone contact device. Mobile phone forensic software with source code completely describes the use of various functions related to mobile phones software such as CeCreateFile, CeCreateProcess, CeReadFile, CeGetDeviceId, CeRapiInit, CeFindAllFiles, CeRegEnumKeyEx, CeRegOpenKeyEx, CeFindAllDatabase and many others too. Features: * Mobile inspector software is available with Microsoft Visual C++ source code. * Cell phone analysis tool gives detail about mobile sim IMEI number and SMS status. * Tool is compatible with Nokia, Samsung, Motorola, Sony Ericsson, LG and PDA mobiles. * Application with source code supporting Windows CE and Windows mobile, WM5, WM6 based PDA cell phone. * Cell phone forensic software supports windows 98, 2000, 2003, NT, XP and Vista edition operating systems.